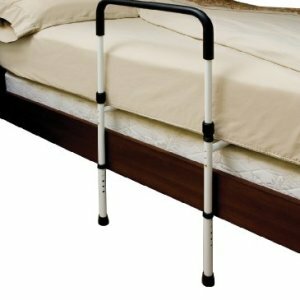 The adjustable bed rail helps prevent falls when getting in and out of bed. 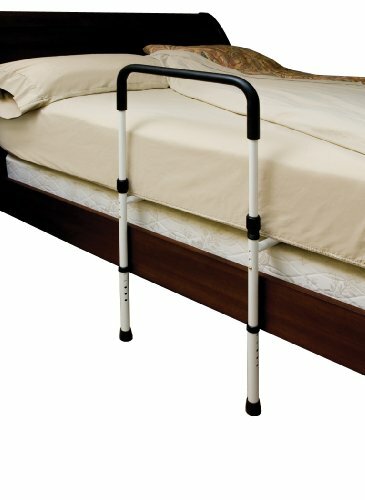 Two feet provide extra stability and slides between mattress for secure fit Adjustable depth and height allows rail to fit almost any bed size. Also will adjust to fit pillow top mattress. Easy tool free assembly. Will support up to 300lbs.